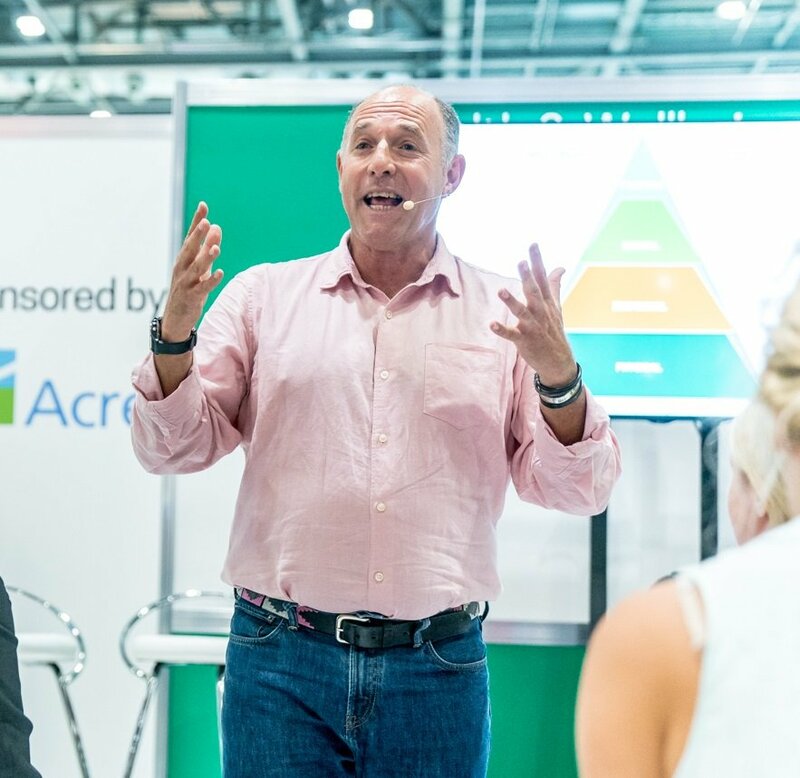 Companies that embrace wellbeing change programmes and recapture the energy of their workforces could gain a significant competitive advantage over competitors, says Geoff McDonald, former VP of Human Resources at Unilever. Because mental health can strike anybody at any time, even “an alpha male South African” like McDonald, who addressed the 2018 Safety & Health Expo. McDonald was the recipient of one of these strikes when, on a January evening in 2008, the night before his daughter’s 13th birthday, he had a sudden panic attack. He felt like he was having a heart attack and couldn’t get to sleep, “catastrophising” everything, finding ulcers and convincing himself he was dying in multiple ways. On his daughter’s birthday he couldn’t bring himself to get out of bed. “The anxiety paralysed me”, McDonald recalls. He went to the doctor, sceptical of what he could do for him. There was nothing wrong with him physically, after all. But after answering a list of questions about appetite, confidence, weight and irritability, the doctor diagnosed McDonald with anxiety fuelled depression. McDonald says that his decision to talk about his illness has been liberating, and has kept him alive in his darkest moments. The “power of peers” has given him strength, he says, and despite the generally unwillingness to talk about mental ill health, especially in a professional context, he says that “all he has got back is love”. But this unwillingness prevails. McDonald himself said that prior to his illness his understanding of depression ended with South Africa losing at rugby, and when he first heard about seasonal affective disorder (SAD) he would say sufferers needed to “man up”. Several years ago he was confronted with the suicide of his best friend, “the most gregarious, fun-loving individual I knew”. Despite “having the badge and the t-shirt” and being vocal about his illness, his friend had not spoken to him about how he was feeling – “Stigma killed my best friend”. We wouldn’t think twice about going to the doctor with a physical illness, but, as McDonald says, “we are all physical and we are all mental”. McDonald says that people recoil when he says this, but that’s because the “mental health brand has been damaged”. Mention it and you immediately picture people with their heads in their hands and struggling to get out of bed. How, he asks, can we shift the narrative? The stresses of modern life and work, he says, has “sucked the most important driver of our people – energy”, and yet in his long time working in HR he never once had a conversation about it. Addressing this is not about “having a wellness week or leaving out a bowl of bananas”, he says. “The concept of wellbeing has to be seen as a change programme. The pressures and demands are not going away, so why don’t we invest in resources to make people as safe and healthy as possible.” And there’s no great mystery to how to do it: this change plan only need follow the principles of any change to work structure. You can find all of SHP Online’s stories from a packed programme at Safety & Health Expo 2018 here. 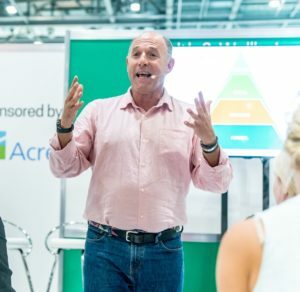 Gaining a competitive advantage with a strategic approach to mental health Companies that embrace wellbeing change programmes and recapture the energy of their workforces could capture a significant competitive advantage over competitors, says Geoff McDonald, former VP of Human Resources at Unilever.